Established in the year 1958, in Delhi, Thakar Das Om Parkash is a leading Supplier and Trader of a comprehensive array of all kind of Brass, Glass Fitting, and Hardware Goods. Within these categorizations, we are offering a broad spectrum of products to our customers. 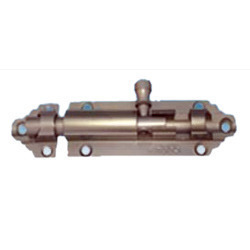 The vast array of products offered by us include Aluminum Tower Bolt, Aluminum Door Handle, Gate Hook, Door Stopper, Fancy Door Handles, Door Closer, Aluminum Aldrop, Chest Handles, Capsule Door Closer, and CP Maintenance Sealant. Widely acknowledged for their valuable features such as smooth finish, breakage resistance, attractive shapes, elegant designs, immaculate cuts, aesthetic looks, finest quality, varied color combinations and sturdiness, these are vastly recommended by our patrons. These products are produced using optimum quality material and advanced tools and technology at our vendors’ premises. Fabricated using cutting-edge machines and tools, these products is applauded by our patrons for sturdiness, rust proof, high strength, and longer service life. Moreover, we examine these products on predefined checklists to ensure that only premium quality products are supplied to the customers. We offer these products in different sizes, colors, designs and shapes to our customers. Owing to their exceptional looks and longer service life, these are highly demanded amongst our customers for their vast usability. Available at highly economic prices, these products are vastly demanded by the patrons across the world. Apart from this, our patrons can avail these products from us in bulk within committed time frame. We are trading our products in authorized brands like: Holdtite, D-klog, Roff, m-seal, Rustolene etc.